Yesterday was a difficult day for our city. Traffic was in gridlock, which isn’t all that uncommon. What was unusual was the 500-vehicle procession from Oregon City to the Memorial Coliseum as a city said goodbye to a fallen police officer. Police officers arrived from around the Pacific Northwest and beyond to pay respects to one who paid the ultimate price for protecting his community. It was a sight to behold, a moment to remember. For most of us, life goes on. But for the family of Robert Libke, life will never be the same. Last Sabbath, I sat in a hospital waiting room with a family that was preparing to say goodbye to a wife, a mom, a sister. The difficulty of those moments is almost unspeakable. Many of us have experienced these painful moments. Too often, it seems that death is just too close. It reminds us that life is but a fragile and finite gift from our Creator. It challenges us to live each moment to honor the ones we love and the One who first loved us. It inspires us to make a mark on the world that will remain when we have gone to our rest. But most of all, these painful moments serve to remind us that we’re not home yet. Of course, we live to fill this life with as much joy and meaning and purpose as we can as we pursue God’s purpose for our life. But this isn’t all there is. We were made in God’s image to live forever with him. The pain of separation and heartache was not intended for the human heart. So we take solace that this isn’t the end of the story. I’m thankful for the belief we share that goodbye is not goodbye. I’m thankful for the hope we embrace that these moments of pain will give way to the experience of joy when we are reunited with our loved ones in the presence of our Redeemer. Never forget! A day is coming when the pain of loss will be just a distant memory. For scripture promises that a trumpet will sound and we will be reunited with those we have lost. That’s good news. As we welcome the Sabbath together, I pray that you will experience spiritual refreshment and a renewed hope of Jesus’ return. This Sabbath in our worship services, we will experience the ministry of our Women’s Chorus with their guests from Clark County, Belle Cantori. The music will be rich and memorable. I will be sharing “Great Expectations” in which we explore God’s goodness as He pours out His blessings on those who trust Him. I expect that you won’t want to miss the fellowship and worship of Sabbath morning. Sabbath worship services are at 8:45 and 11:15 am. Pastor Jonathan Russell will be presenting our Bible message entitled Great Expectations. Gonzalo and Esther Racasa in celebration of their golden wedding anniversary. Congratulations Gonzalo and Esther on 50 years of togetherness! Welcome to Belle Cantori, directed by Martha Natiuk. This is a group of women from Clark County that has come to join Sunnyside’s Women’s Chorus, directed by Rosemayne Thompson. These groups will be providing us ministry in music for the worship service today. Tonight, November 16, 6:00 pm, our Health Expo continues with Dr. Don Hall presenting Preventive Medical Care. Tomorrow, Sunday, November 17, 4:30 pm, Sunnyside Adventurers will host our Harvest Festival and silent auction. There will be a meal, a puppet show for children, and lots of fun shopping. Bring your friends and let’s help the Adventurers enjoy their fund-raising project. Adventist Health is sponsoring A Celebration of Thanksgiving hosted at New Hope Community Church November 23 at 7:00 pm. The concert features the award-winning gospel artists Selah and Warner Pacific College Bridgetown vocalists. The concert is free, however tickets are required. For tickets, contact www.adventisthealthnw.com/thanksgiving, or call 503-251-6174. Christmas is coming! This means the Family Sabbath Christmas program is on it’s way. Be a part of something special! This year, we have many opportunities for our ENTIRE church family to participate: acting, music, painting, props, stage management, and “wrangling.” All ages encouraged and welcome! Join us as we share “Greetings from the Heart” on December 14. 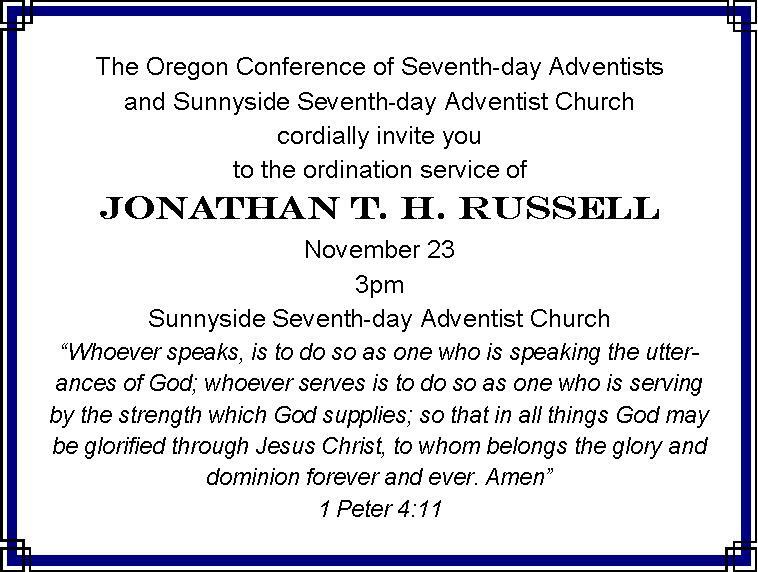 Contact Kimberly Helton 503-667-1327 soprandroid@hotmail.com, or call the church office, 503-252-8080. Alex Buchanan, Donald Gren (Conrad’s brother), Michael Hamilton, Darren Himbaza, Nancy Ruhl, the people in the Philippines, and all who have financial, spiritual, and health needs. A Church Business meeting has been called for November 24, 2013, 6:00 pm. 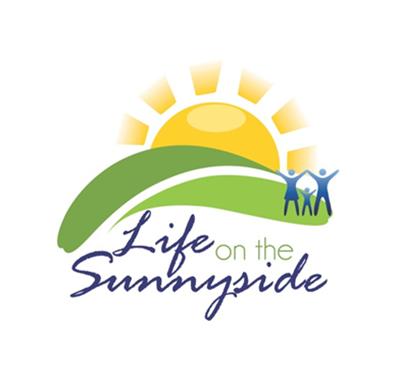 The agenda will include discussions and decisions regarding Phase II of ReNew Sunnyside with the objective of breaking Phase II into smaller sections. Come, view the suggested color palette, and help make the decisions. Follow the Star musical program is coming to the Holden Center the first two weekends in December. Openings for musicians are now available to provide a 30-minute, Christmas music mini-concert while attendees wait to take the outdoor tour. Dates are December 6,7,8 and 13,14, 15. Call or text Craig Gorton at 360-571-7101.